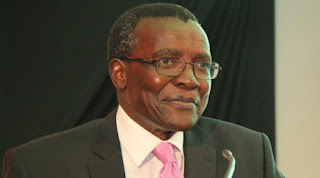 Chief Justice David Maraga is set to redeploy more judicial officers next in week, in line with transfer policy guidelines adopted in December 2017. Maraga – who has over the past year effected high-profile transfers including Justice George Odunga’s reassignment to Machakos in April and Monday’s transfer of Justice Chacha Mwita to Kajiado – however dismissed claims that he is under pressure from the Executive to reshuffle some judges. “Why didn’t anyone ask when I transferred judges earlier on? These are normal transfers that we do every now and then,” the CJ remarked on Thursday while responding to questions on Justice Mwita’s transfer. Justices Odunga’s and Mwita’s tenures at the Milimani Law Court’s Constitutional and Human Rights Division earned them admiration and criticism in equal measure. The former particularly criticized by Interior Cabinet Secretary Fred Matiangi who once said “an evil clique” of judges were in an “unholy alliance” hell-bent to frustrate the government by issuing injunctions. Justice Odunga had in March 2018 fined Matiangi, Immigration Principal Secretary Gordon Kihalangwa, and National Police Service Inspector General Joseph Boinnet Sh200,000 each for contempt after they failed to personally appear in court where they had been summoned to explain their apparent refusal to produce deported opposition activist Miguna Miguna in court. Justice Mwita also earned a fair share of criticism last year after he suspended criminal charges against Deputy Chief Justice Philomena Mwilu after the public prosecutor moved to charge her with fraud. He later referred the case to CJ Maraga who formed a five-judge bench to determine “constitutional issues” raised by DCJ Mwilu in a petition seeking to stop her prosecution. Under the 2017 guidelines, the approximate tenure for a judicial officer in a particular station is three years. The guidelines however recommend a tenure not exceeding two years for judges and magistrates serving in hardship areas with the Chief Justice allowed the leeway to retain a judge in a particular station for a period not exceeding five years. “The Chief Justice may, where necessary, retain a Judicial Officer in one station for no more than five years,” the guidelines provide. A total of five judges were reshuffled on Monday, with CJ Maraga assigning Malindi High Court Judge Weldon Korir the much-coveted Constitutional and Human Rights Division of the High Court in Milimani, a court previously manned by Justice Mwita. Mwita’s colleague in the Constitutional and Human Rights Division Lady Justice Wilfred Okwany was transferred to the Commercial and Tax Division of the High Court where Justice Aron Makau sat. Justice Makau was to the Constitutional and Human Rights Division. Justice Reuben Nyakundi was moved from the High Court in Kajiado to Malindi. In April, Justice Odunga was among 17 justices reshuffled in what saw Lady Justice Okwany who was Monday moved to the Commercial and Tax Division of the High Court in Milimani, transferred from Kisii. Lady Justice Rose Ougo moved from the Family Division in Nairobi to Kisii, her Voi counterpart Jacqueline Kamau moving to Nairobi. Then Principal Judge of the High Court, Justice Richard Mwongo, was moved to Naivasha where he replaced Lady Justice Christine Meoli who was moved to Kiambu. Kiambu’s Justice Joel Ngugi was moved to Nakuru as the presiding judge. Lady Justice Justice Lydia Achode who took over in May as Principle Judge of the High Court was moved to Nairobi’s Family Division from Eldoret. Lady Justice Roselyn Aburili was moved from the Judicial Review in Nairobi to Bungoma where she sits as Presiding Judge. Justice Boaz Olao of the Environment and Land Court in Kerugoya swapped stations with Justice Samuel Mukunya, who was at the time serving in Bungoma. Lady Justice Maureen Odero was moved from Nakuru to the Civil Division at Nairobi’s Milimani Law Courts, Justice George Kimondo moving from Eldoret to Kisii. Justice Joseph Karanja was transferred to the High Court in Homa Bay while Justice Abida Ali Aroni moved from Bungoma to Family Division in Nairobi.